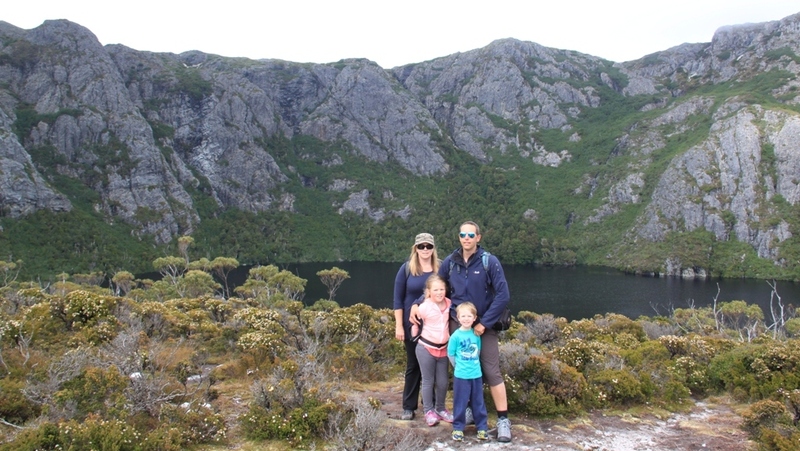 To finish off our Tasmanian holiday we spent a couple of days around Cradle Mountain. We did a few short walks around the main tourist area and fortunately had the best weather we had seen in 3 weeks. I have been to this area a couple of times before but have never had such clear skies and good visibility. Photo taken at Lake Lilla. 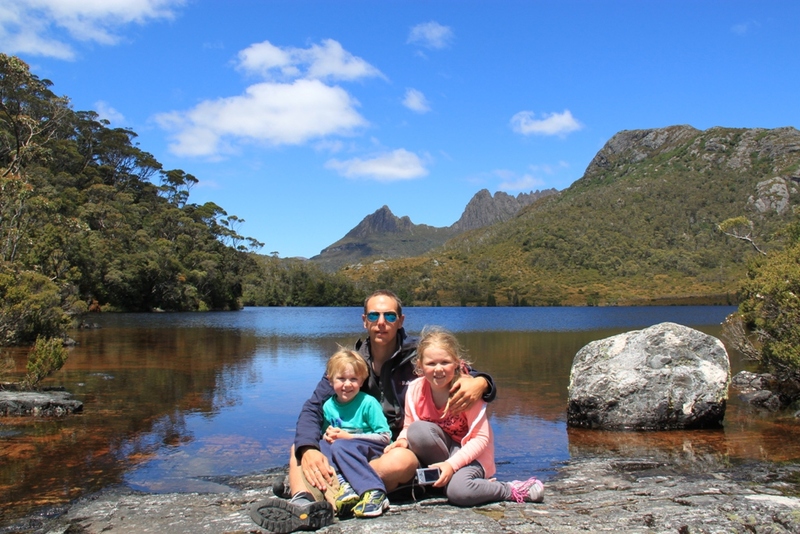 While there was quite a lot of people around, the Cradle Mountain area is very accessible, great for families and offers spectacular scenery. 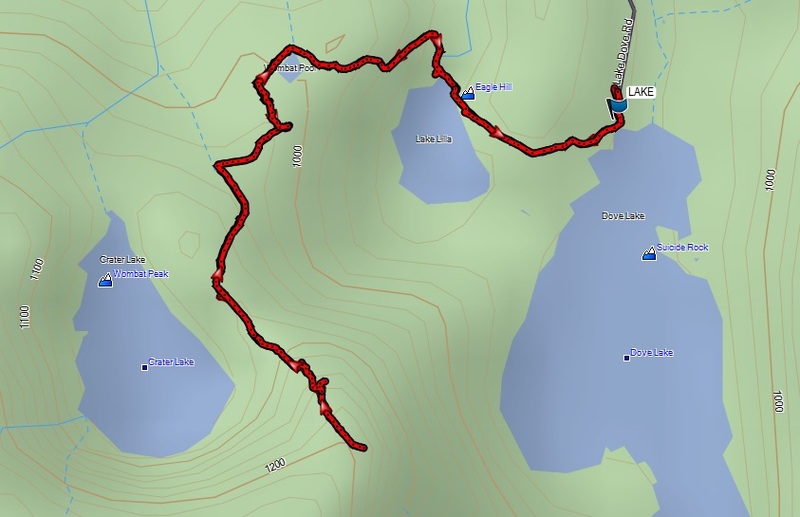 Although navigation is easy and the tracks are very well defined and signposted – Garmin users planning to go further afield should be aware that the current Garmin Topo maps (v4, Sept 2012) do not cover tracks in this area at all. 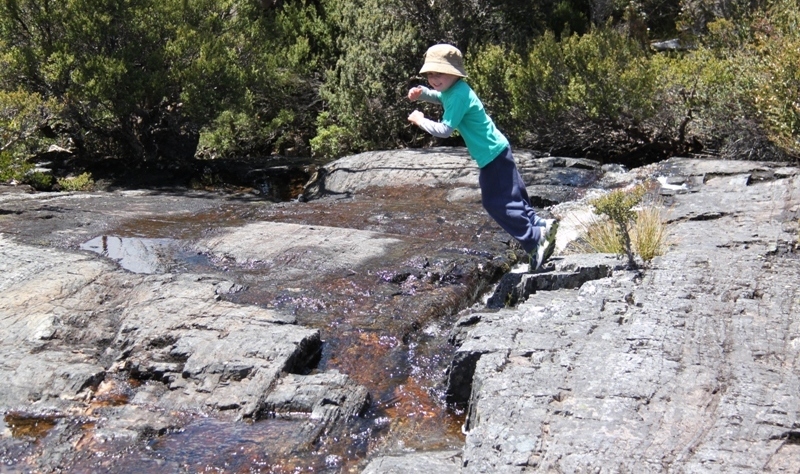 Even the iconic Overland Track is not shown. 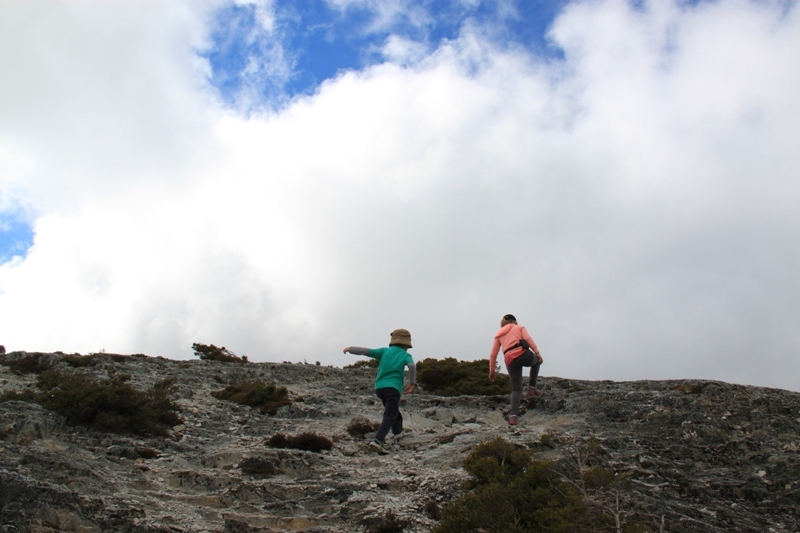 While it would have been great to make it to the summit of Cradle Mountain – it was too far and too hard to do with kids. Marion’s lookout is about 3.5km each way with a total climb of 370 vertical metres which was just right for us. The scenery is fantastic. Sort of a cross between the Victorian High Country and New Zealand’s South Island. 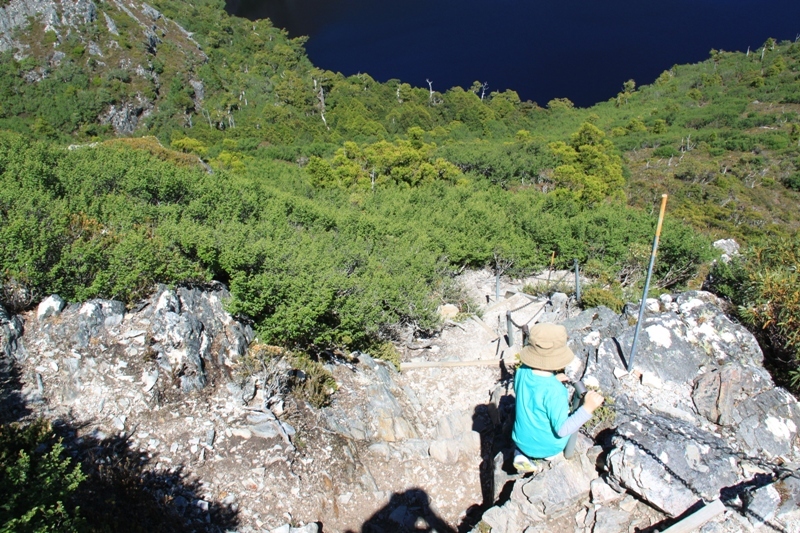 Amy pointing out Marion’s Lookout from Dove Lake. While we were here we saw an overseas tourist unsuccessfully try to dry out his Canon 5D and lens after he dropped it in the lake while taking a photo. 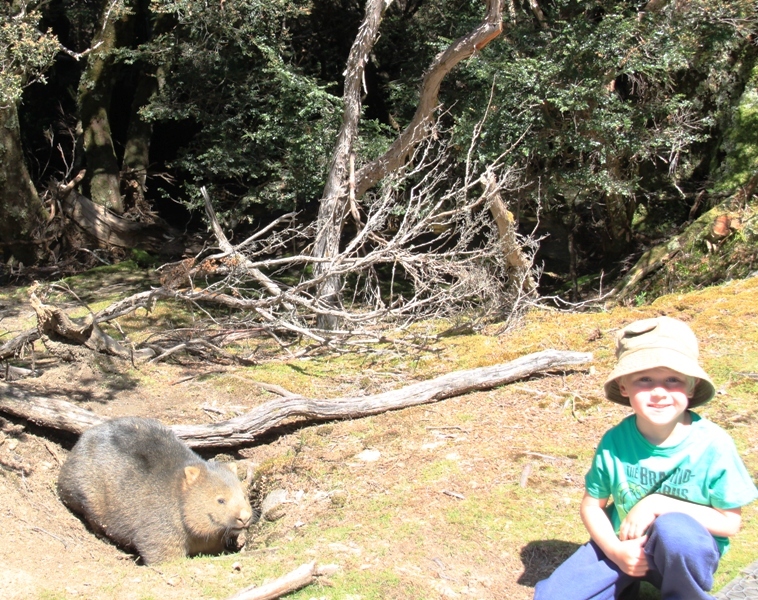 Bush Tucker Man Jnr decided that cooking Wombat Mignon in a Wilderness World Heritage Area would be problematic. 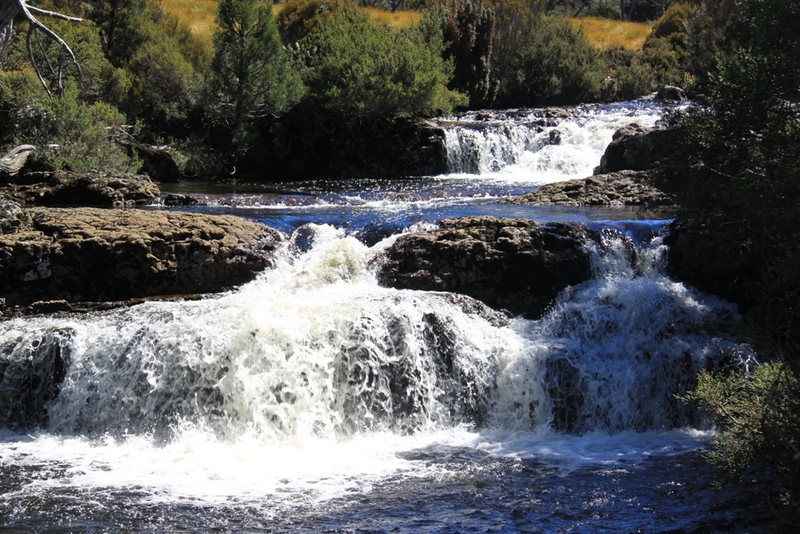 Note: Due to the popularity of the Cradle Mountain National Park, the area is tightly controlled by the Parks & Wildlife Service. The park entry fee is pretty steep but provides reasonable value as the park offers good facilities and services. 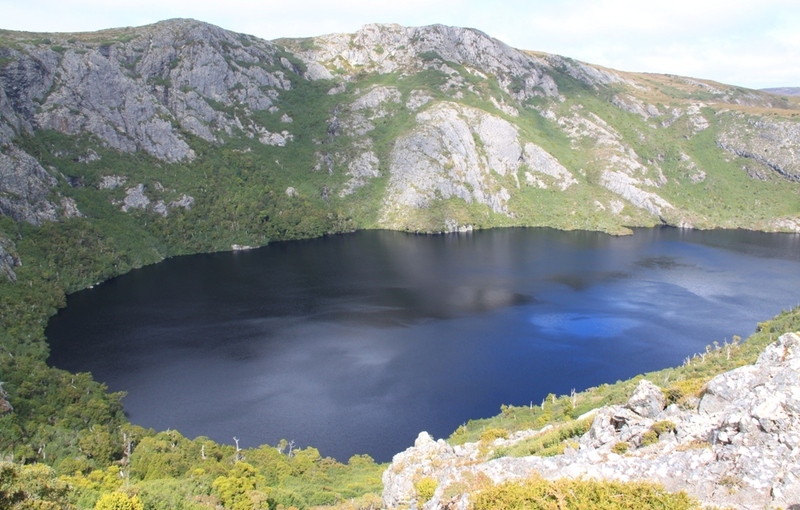 Also be aware that you may have to catch a shuttle bus from the Visitor Centre to Dove Lake as private vehicle access is restricted at peak times. Nice place to visit. Walked the track with my bros about 20 years ago. A winter trip would be fun. Cheers.